Auto Ship & Earn + 135 Points What's this? A healthy liver that able to properly detoxify the body is essential for good health, and not just in humans. The health of your furry friends depends on good liver health too. 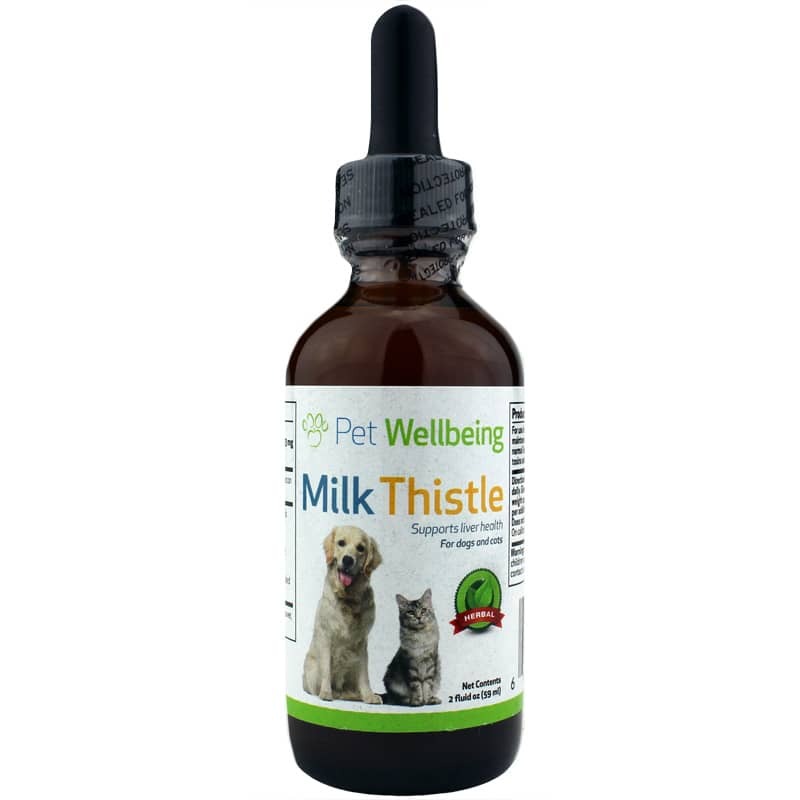 Make sure your cat or dog has the support he needs with Milk Thistle for Pets from Pet Wellbeing. 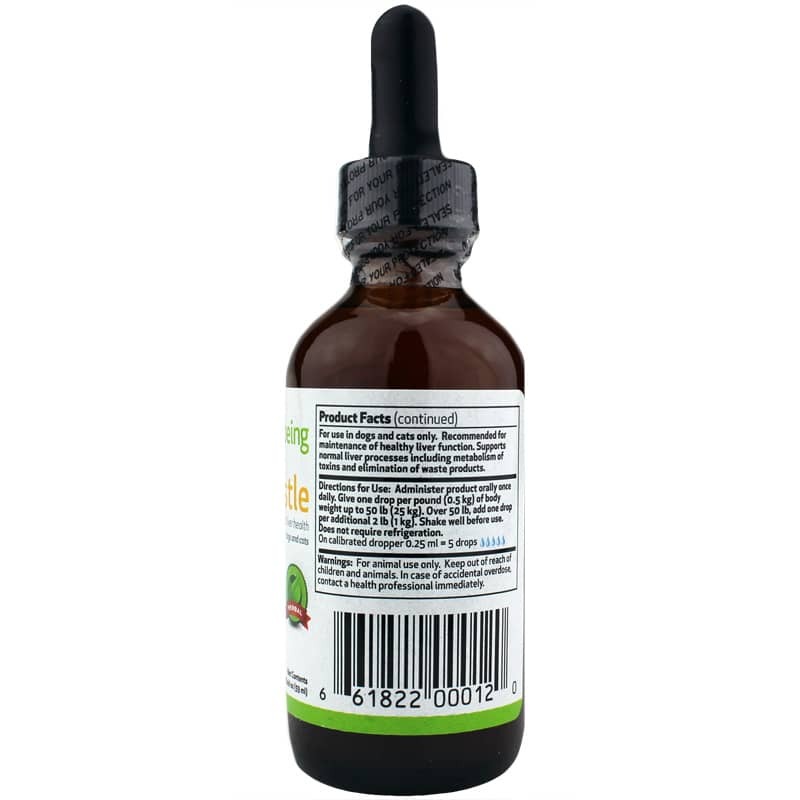 Milk Thistle is an organic, 100-percent natural herbal supplement containing milk thistle seed for optimal liver support for both cats and dogs. Milk thistle seed is a natural source of silymarin, a compound containing flavonoids that may protect the liver from toxins and may also maintain liver cell health to support your pet's ability to perform natural detoxification for optimal health. Pet Wellbeing provides the ultimate in quality for your pet, testing every single batch of Milk Thistle for potency and quality. 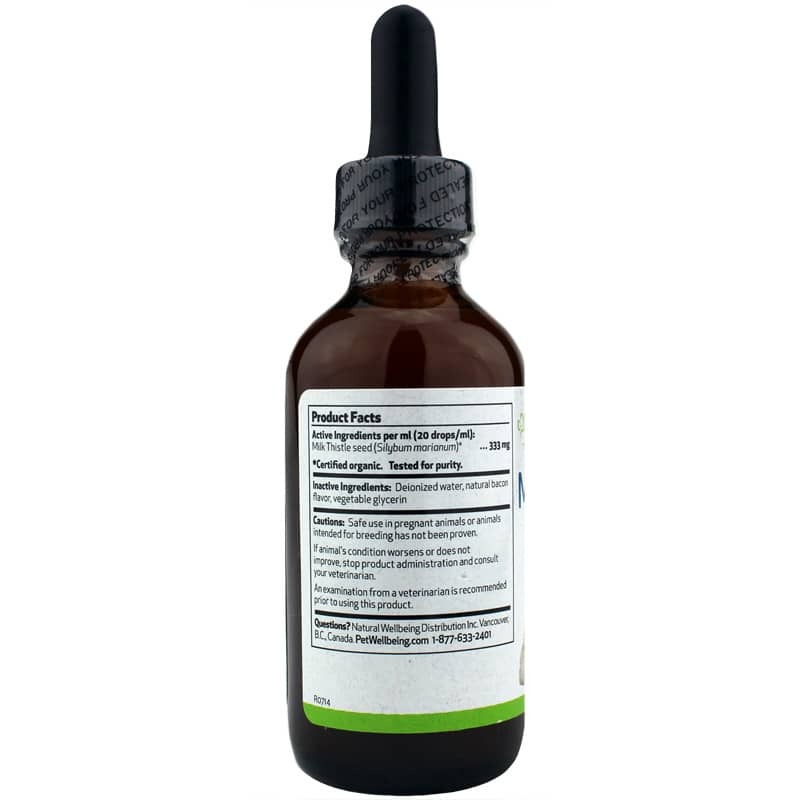 Support your pet's overall health with optimal - and natural - liver support. Order Milk Thistle. Inactive Ingredients: deionized water, natural bacon flavor, vegetable glycerin. Administer product orally once daily. Give one drop for every 1lb (0.5kg) of body weight up to 50 lb. Over 50 lb, add one drop per additional 2lb (1kg). Shake well before use. Does not require refrigeration. Safe use in pregnant animals or animals intended for breeding has not been proven. If animals condition worsens or does not improve, stop product administration and consult your veterinarian. An examination from a veterinarian is recommended prior to using this product. For animal use only. Keep out of reach of children and animals. In case of accidental overdose, contact a health professional immediately.